"Dr Rogers is the best surgeon I have ever been to." "He goes that extra mile for you. He is one of a kind." "Dr. Rogers is a true gift to the medical community." "Dr. Rogers is a God sent angel!" 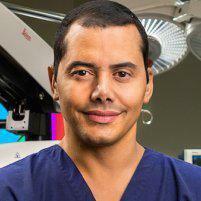 "He is a miracle worker and we were blessed to come across such an MD"
Dr. David Rogers is an Orthopedic Spine Surgeon specialist, in Sherman Oaks, CA, with a medical degree from the Harvard Medical School. 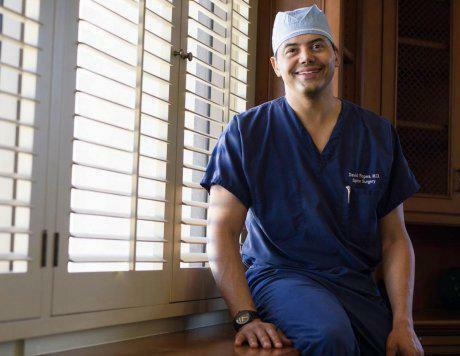 He completed Orthopedic Spine Surgery fellowship training at UCLA Medical Center and St. John's Health Center in Santa Monica, CA. Dr. Rogers is board certified by the American Board of Orthopaedic Surgery and is an active member of the American Academy of Orthopaedic Surgeons and the North American Spine Society. He holds medical director positions at several area hospitals and has a volunteer Orthopedic Spine Surgery teaching position at LA County/USC Medical Center. "There are not good diagnosticians everywhere, and that is what Dr Rogers is, as well as a darn good doctor." "I had severe back and neck pain. Dr. Rogers operated on 4 different areas. I am now able to do most things that I was unable to do before"
"If you have a severe spine problem, lumbar or cervical, this young man has some of the best hands in the business." "In all my years dealing with many different types of doctors in 2 different states, I have never met one that has cared so personally about a patient before." "In addition to that the day of, after and since his surgery Dr. Rogers care remained informative, compassionate and THOROUGH. I can't thank him and his staff enough"